We are a well known manufacturer, supplier and exporter of Planer Machine for Fabrication Shop. Our offered product is highly demanded in the market. Being a maker we get crude material from trusted sellers with the goal that we can produce the standard nature of organizers. Our customers can avail the offered product at vary affordable prices. 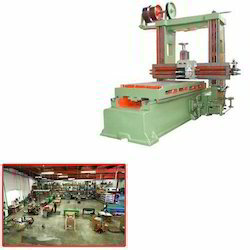 Looking for Planer Machine for Fabrication Shop ?